Are Blueberries Safe for Cats? These nutritious gems are a cat-approved favorite! Blueberries are an excellent source of fiber, vitamin C and antioxidants, but can your cat partake in these sweet, little fruits? She sure can! If used in moderation, they’re a cat-safe treat you and your kitty can enjoy together. Blueberries in their whole, natural form can provide your kitty with many health benefits. They are jam-packed with vitamin C. Though vitamin C is not required in the feline diet, it can benefit cats suffering from cancer, dementia, heart disease or asthma. There are generally no side effects with vitamin C supplementation; however, cats predisposed to urinary calcium oxalate stones and crystals should not ingest blueberries. As with any dietary change, stop feeding your cat blueberries and consult your veterinarian if your cat exhibits digestive or behavioral changes. Blueberry extract is becoming a more and more popular ingredient in many cat foods. 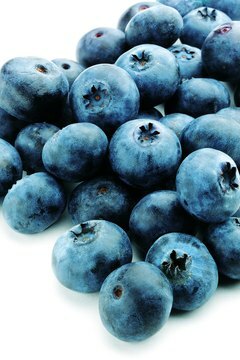 Blueberries have more antioxidants than any other fruit in the world, and antioxidants are a widely used method of preserving pet food. Antioxidants serve as a healthy preservative by blocking or slowing down oxidation. This keeps your kitty’s food fresh for longer. Blueberries are a natural, as opposed to synthetic, antioxidant, making them one of the most sustainable preservatives available. Cats are carnivores, therefore the majority of their diet should be meat-based proteins. However, that doesn’t mean your kitty can’t enjoy the occasional blueberry -- but they should remain just that, an occasional treat. A couple of blueberries every other day is more than enough for any kitty. 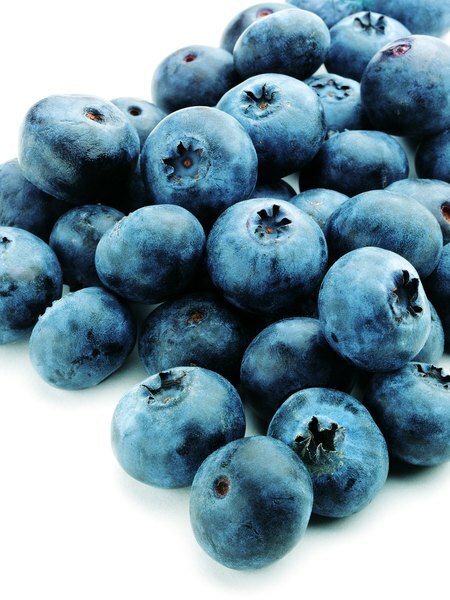 Too many blueberries can cause digestive upset such as loose stool and diarrhea. Blueberries aren’t the only fruits your cat can enjoy. Strawberries, seedless watermelon, apples without seeds or core and frozen bananas also make the list of cat-safe fruits. Your kitty can go ahead and chow down (occasionally) if she finds any of those fruits palatable but there is a catch. Snack time for kitties isn’t an endless fruit salad. There are several fruits that are poisonous to cats. Always avoid grapes, raisins and any fruits with pits as the pits may be toxic.